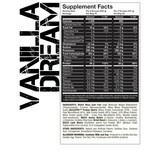 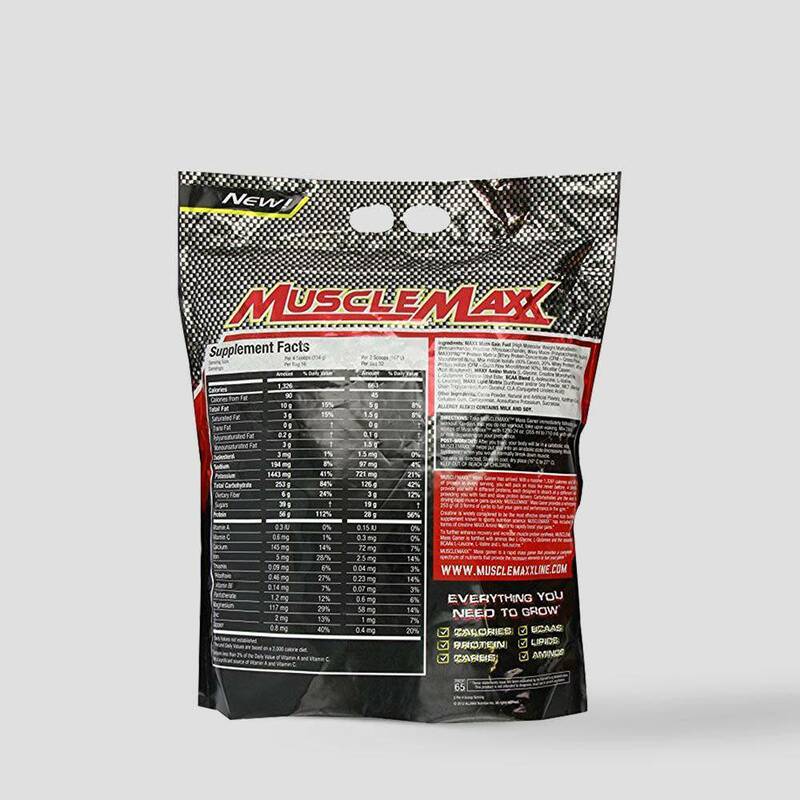 MuscleMaxx formulation contains everything you need to fuel muscle growth and recovery. 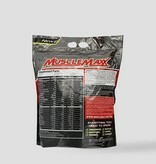 * MuscleMaxx represents the ultimate in high performance nutrition for competitive athletes. 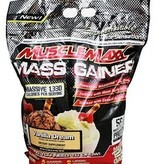 MuscleMaxx is a 100% complete protein formula loaded with 35 g of protein in every serving. 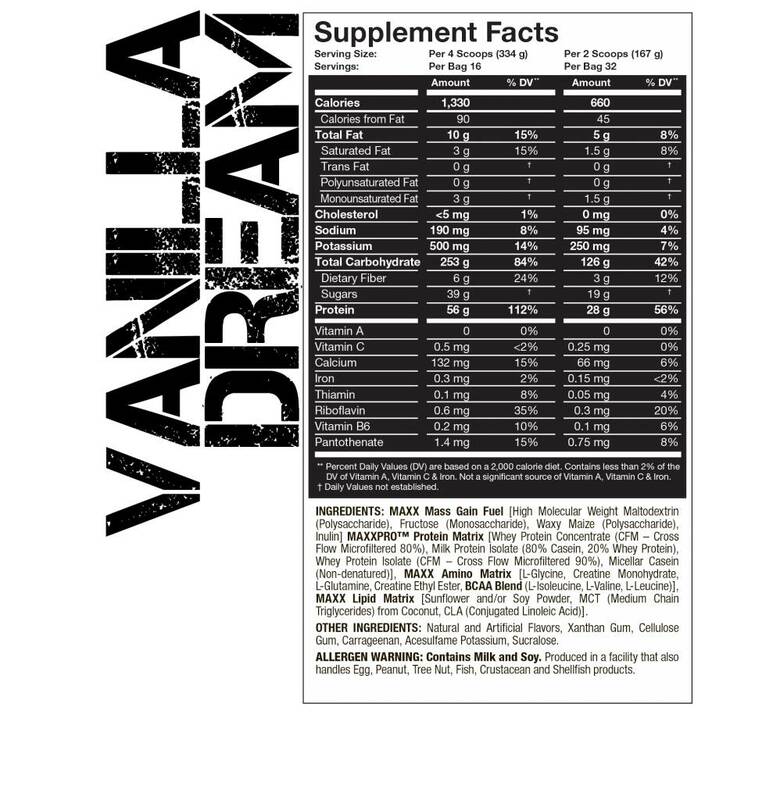 Fortified with Omega 3, 6 & 9 EFAs (Essential Fatty Acids); critical nutrient factors for complete high-performance nutrition. 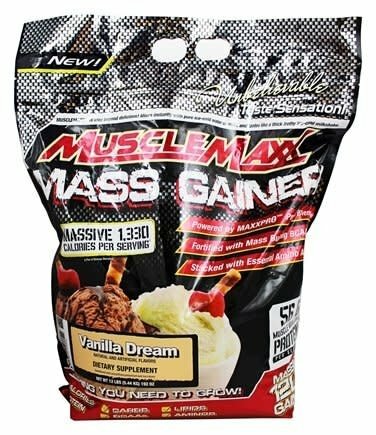 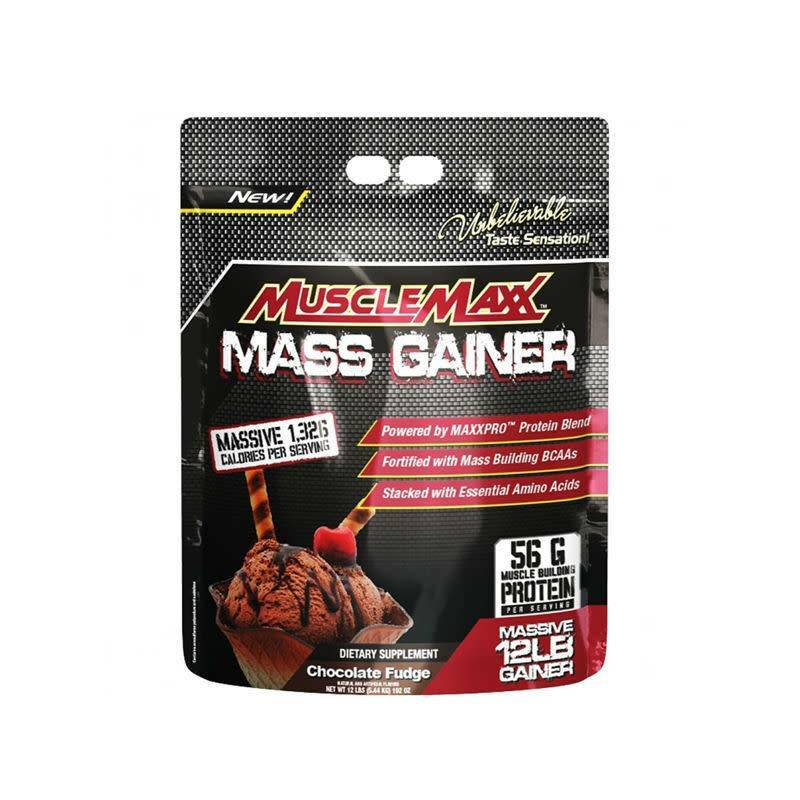 MAXX Mass Gain Fuel [High Molecular Weight Maltodextrin (Polysaccharide), Fructose (Monosaccharide), Waxy Maize (Polysaccharide), Inulin], MAXXPRO Protein Matrix [Whey Protein Concentrate (CFM - Cross Flow Microfiltered 80%), Milk Protein Isolate (80% Casein, 20% Whey Protein), Whey Protein Isolate (CFM - Cross Flow Microfiltered 90%), Micellar Casein (Non-Denatured)], MAXX Amino Matrix [L-Glycine, Creatine Monohydrate, L-Glutamine, Creatine Ethyl Ester, BCAA Blend (L-Isoleucine, L-Valine, L-Leucine)], MAXX Lipid Matrix [Sunflower And/or Soy Powder, MCT (Medium Chain Triglycerides) From Coconut, CLA (Conjugated Linoleic Acid)]. 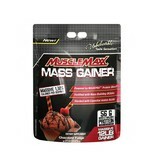 Cocoa Powder, Natural And Artificial Flavors, Xanthan Gum, Cellulose Gum, Carrageenan, Acesulfame Potassium, Sucralose.